If you are joining us for the first time from Global From Home, welcome! If you didn’t come from there you should pop on over and check her out, we did a virtual interview with her as part of her Abroad Blog of the Week series and it’s up on her site today. About – You know, all the who, what, where, when and why of it all. Photo Fridays – As implied, this is a collection of photos posted weekly on, you guessed it, Fridays! I’ve spent a few 4th of July holidays outside of the States, and I have to say, it’s always a little odd to wake up and think, “Oh, hm. 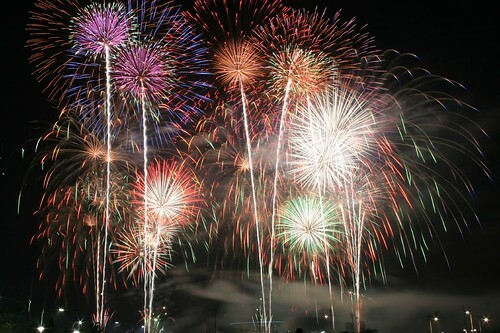 Today is the 4th of July?” It certainly snuck up on us this year and we only realized the holiday had rolled around again when we were invited to prance about in the street with sparklers and crazy spinning firecrackers with some people we met at our hotel. It was great fun, especially considering that it’s been pouring all day, but the skies cleared for just long enough to make everyone on the block think we are insane! For me, the 4th of July is about more than just celebrating our freedom and independence. It’s also about celebrating my personal independence from tobacco, because 8 years ago today on another 4th of July abroad in a rainy place -Oxford, England, I had my last cigarette! I mention this because in the last 8 years, I have saved at least $30,000 (based on the very high cost of cigarettes in NY, which is well over $10/pack at this point) because I quit. That’s a whole lot of travel. Or a small down payment on a home. Or a car. My intent is not to preach at you about quitting smoking, I’m just saying, sometimes our habits cost us way more than we think they do and if you are trying to trim the fat, this is a really good place to start.